The deadline to enroll for insurance through the Affordable Care Act is this Sunday. That’s a special challenge for more than 7,500 immigrants from countries of the Compact of Free Association, including Micronesia. Starting March 1st, they’ll lose their Medicaid coverage, and will have to find insurance through the Hawai‘i Health Connector. 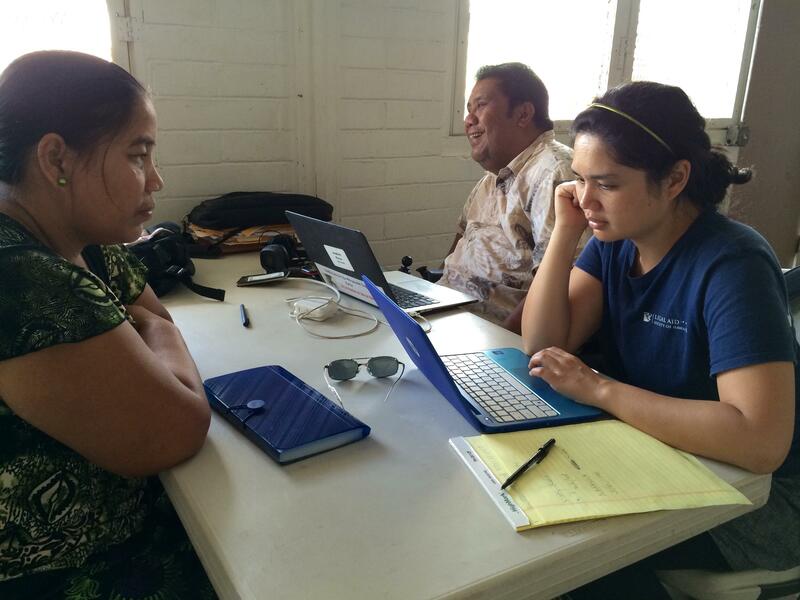 HPR’s Molly Solomon reports on how the community is preparing for the shift. Tuesdays/Thursdays – 9 a.m. to 1 p.m.
Tuesdays/Thursdays/Saturdays – 9 a.m. to 1 p.m.
Mondays – 2 p.m. to 6 p.m.
Thursdays – 1 p.m. to 4 p.m.
Feb. 10 – 1 p.m. to 4 p.m.
Feb. 11 – 11 a.m. to 2 p.m.
Feb. 12 – 9 a.m. to 12 p.m.
Fridays – 3 p.m. to 6 p.m.
For more information about enrolling and to seek language assistance, residents can call 1-877-628-5076 or go online at hawaiihealthconnector.com. It’s day four of the Unite Here Local 5 strike and hundreds of Kaiser workers continue to picket outside clinics across the state. HPR’s Molly Solomon was there and has this report.